El Astillero decano de Las Palmas de Gran canaria, Repnaval. S.A, perteneciente al grupo Zamakona Yards, ya tiene operativo su nuevo carro de varada, el nº 4. Tras una inversión de casi 5 millones de euros, este carro supondrá en la práctica duplicar la capacidad de varada existente pues a partir de ahora dicho carro podrá alojar a buques de hasta los 120 metros de eslora por 20 de manga y 5.500 toneladas de peso. Con estas nuevas capacidades Repnaval puede dar servicio a prácticamente el 80% de los buques que operan por su zona. Si bien el astillero cuenta con otros cuatro carros de varada que pueden alcanzar hasta los 120 metros de eslora, la novedad más importante está en la capacidad de arrastre pues anteriormente el límite era de 3.200 toneladas. “Hemos acometido esta importante inversión sobre todo para dar respuesta a las numerosas flotas de barcos OSV que operan por nuestra zona, algunos de los cuales hemos tenido que dejar de atender por no poder llegar a sus especificaciones, sobre todo en tonelaje “ comenta D. Álvaro Garaygordóbil, CEO del grupo Zamakona Yards en las islas Canarias. 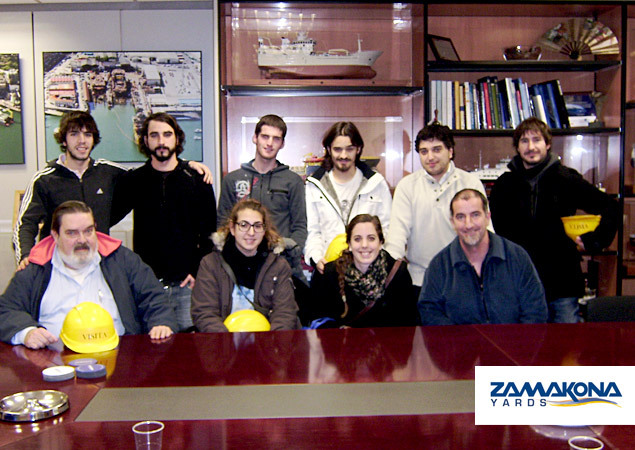 Last week we received the visit of students and faculty of the Institute of Aquaculture Mutriku. 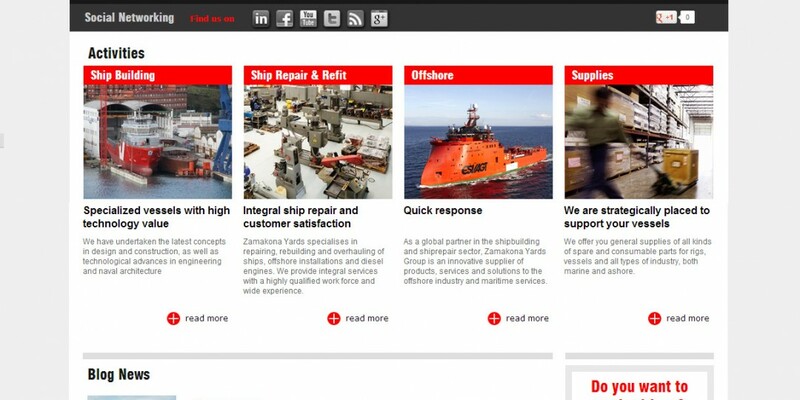 They wanted to know more about the shipbuilding project that we are currently developing for Solvstrans. 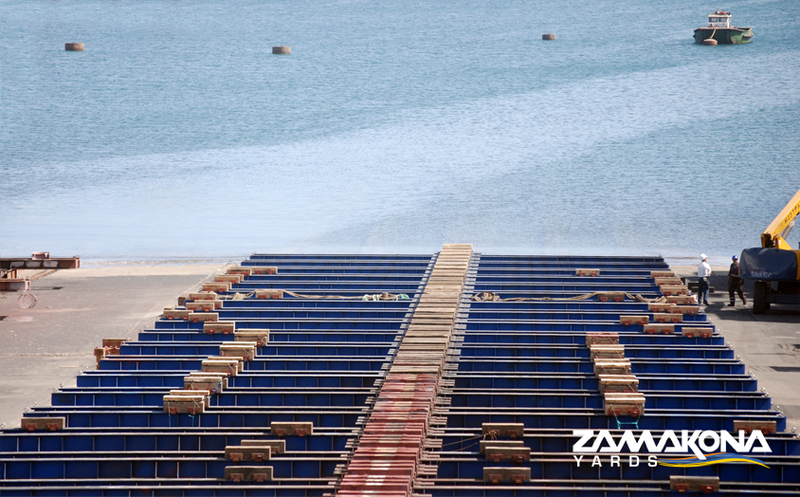 It´s a Live Fish Carrier to be delivered in June 2013. We hope they enjoyed the tour and the explanations they received. Crews from the Marine Action Ships (BAM) and the Canary Security Unit (USCAN) visited the Repnaval shipyard in Las Palmas, Gran Canaria. 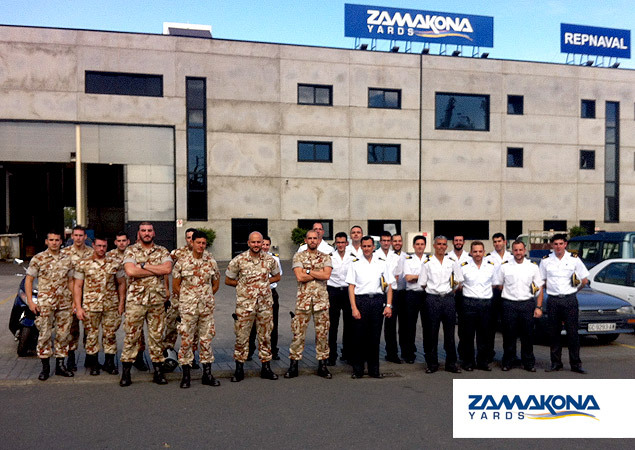 Both ship Officers and Marines visited the vessel Playa de Azkorri, which is currently being repaired at the shipyard. They checked security issues. The visit was accompanied by the Captain. The vessel is a tuna fisher, similar to the ones operating in the Indian Ocean, where Operation Atalanta is taking place and where their vessels will be used In the near future. This operation is organized by the Security Council of the UN to protect vessels of the World Food Program while bringing humanitarian help to Somalia. Operation Atalanta is also authorized to deter, prevent and combat acts of piracy and armed robbery taking place off the coast of Somalia. The Maritime Action Vessels – BAM – are designed to carry out military missions of conventional and unconventional character regarding threats. BAM conducts committed presence, surveillance and limited actions of neutralization, all within Maritime Safety regulations. The Canary Security Unit – USCAN – is a component of the Marine Force Protection, with the mission of providing security to Navy staff and installations. The marine force protection is responsible for the area of the Canary Islands. We hope their visit here will help them in their efforts to protect the Indian Ocean. Good luck. Last August 29th, the European Commission published the Green Paper “Marine Knowledge 2020 from seabed mapping to ocean forecasting”. This Green Paper opened a debate on the best strategy for moving forward to accessible, sustainable digital mapping of European seabeds, as well as timely information on the present and past physical, chemical and biological state of the overlying water column and forecasts for the future, together with a process that helps Member States maximise the potential of their marine observation, sampling and surveying programmes. The European Commission, via Maritime Affairs, welcomes contributions from citizens, organisations and public authorities. If you wish, you can also reply in an individual capacity. All contributions will be published on the internet although the names of those replying in an individual capacity will not be published. No contact details will be published. The Commission has set up a website for responses. You can consult the Green Paper here, and you can leave your opinion in this poll. This website will be open till 15 December 2012. This is a great chance to express your opinion about this matter in an open poll. Do not miss this opportunity.